(18/P001) TRENTON – Bayonne in Hudson County is the fourth city to join the Department of Environmental Protection’s Community Collaborative Initiative (CCI), creating a partnership that will help the community advance longstanding water infrastructure issues, redevelop brownfields, and improve waterfront access, Commissioner Bob Martin announced today. Bayonne joins Camden, Perth Amboy and Trenton in partnering with CCI on projects designed to enhance each community’s quality of life. CCI works closely with diverse partners in urban communities to support their vision for revitalization and growth, as well as DEP divisions such as Water Resources Management, Site Remediation and Waste Management, Land Use Management, Natural and Historic Resources, and various other offices such as Permit Coordination and Environmental Review. Consequently, the DEP’s traditional role is evolving by using a single DEP point-of-contact to leverage resources and expertise that brings innovative solutions to complex environmental challenges. CCI will work closely with Bayonne to pursue several projects the city has under way, such as improving waterfront access, revitalizing the Military Ocean Terminal at Bayonne, increasing open space, and investing in water infrastructure upgrades. The CCI partnership has neither a timeframe nor a contract. 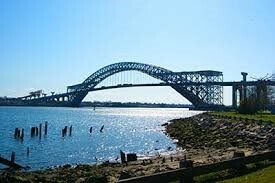 It is governed by a mutual desire to work together to advance the environmental and quality of life goals in Bayonne. CCI was established in 2013 building on the successful Camden Collaborative Initiative, a partnership formed to advance that city’s redevelopment goals. Commissioner Martin in 2015 expanded CCI to include Perth Amboy and Trenton due to the Camden initiative’s successes. CCI pairs one DEP staff member with each of its cities to work on a diverse slate of projects, from remediation of landfills and brownfield sites to repair of urban parkland and restoration of natural resources. CCI works proactively and collaboratively with various partners, including all levels of government, local community groups, businesses, and institutions of higher education. Those relationships, in turn, help to develop implementable solutions to longstanding environmental challenges. Consequently, DEP and CCI’s three cities announced major projects this year. 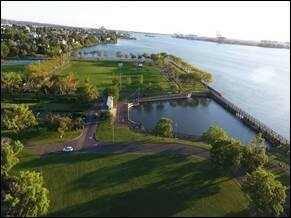 In September, DEP and Perth Amboy announced a $7.1 million project to remediate the six-acre brownfield site off 2nd Street and construct ecological habitats, living shoreline and green infrastructure to improve water quality in the river, and provide recreational open space to the community. Later that month, Trenton and the DEP announced the kickoff of an $8 million project with the U.S. Army Corps of Engineers to “daylight” or reopen to the surface a nearly 500-foot section of the Assunpink Creek in the downtown area. This project will stabilize and naturally align the daylighted creek with river stone, boulders and other materials; improve fish migration from the Delaware River; and create two new acres of open space for passive recreation. In December, Camden and the DEP announced a $25 million project to create Cramer Hill Waterfront Park, a 62-acre green space along the confluence of the Cooper and Delaware rivers on the site of the former Harrison Avenue landfill.